When you’re sending email newsletters to grow your business, you need well-designed emails which will capture readers’ attention. An excellent design will encourage readers to view your site and can result in higher email conversion rates. But how do you do it? We’ve gathered some tools and resources for building engaging emails. With so much digital clutter, many designers often doubt their abilities to create awesome emails, and you might be one of them at times. 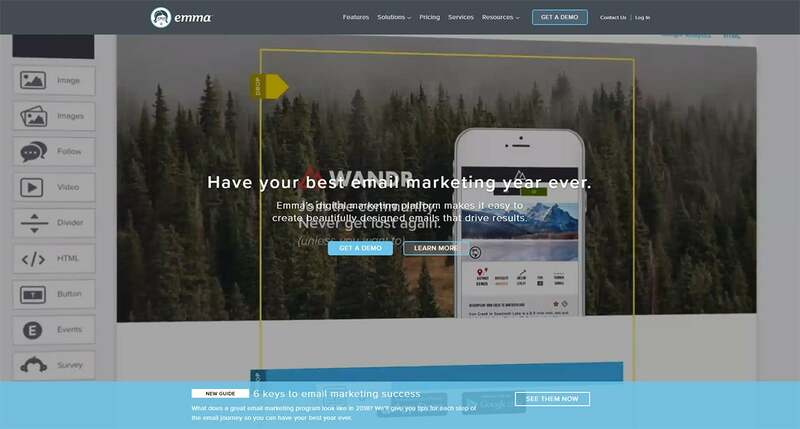 These resources will put your mind at ease when it comes to email newsletter design. Postcards is made to help you create well-designed newsletters. 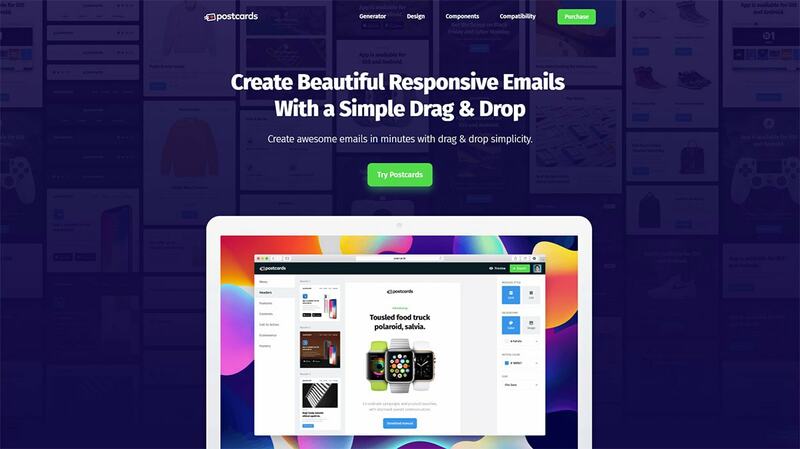 Excellent drag and drop features enable you to create beautiful newsletters easily. Emails created through Postcards use HTML code optimized for all popular mail providers and clients. If you’re using Mailchimp or Shopify, you don’t even need to touch the code. Using Postcards enables you to create a visual impact. There are over 70 components to create a custom design with. 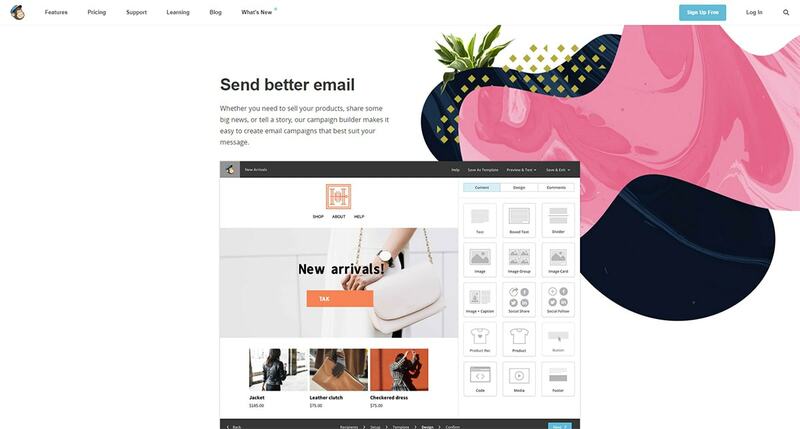 You can build emails and add brand colors easily. And with over 800 fonts to choose from, you are bound to find a something that fits your style. If you’re searching for a simple, creative and modern app to create outstanding emails with, Postcards is for you. If you’d like to dip your toes in the water, there’s a free trial version. 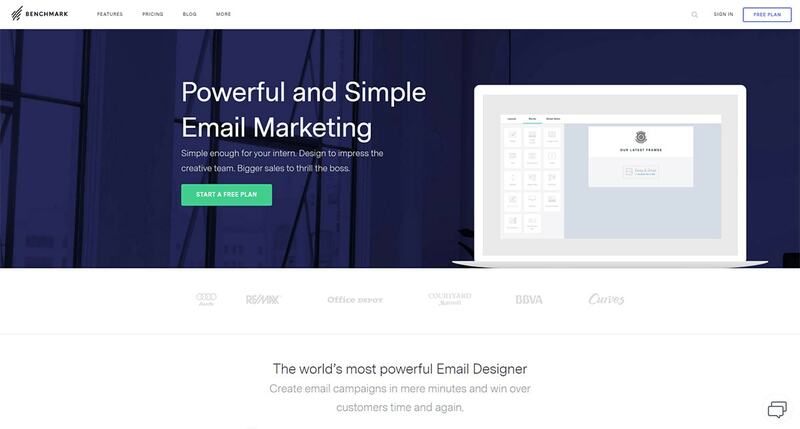 Once you’ve seen how easy it is to create incredible email designs, you may be hooked. 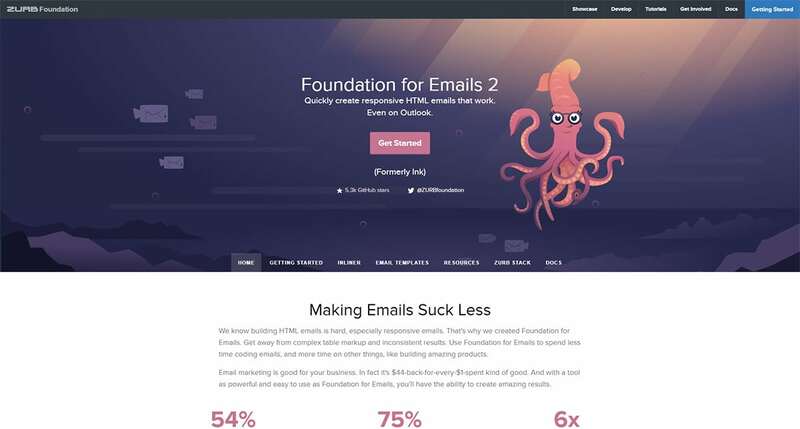 Benchmark is a clean and simple email editor which offers a range of templates for text and multimedia use. If you have a particular color scheme for your brand, Benchmark will create incredible accents which will look great on a variety of different screen sizes. You’ll also be able to store images or videos within the app for later use. This is a great tool that you can use to code mail templates. The focus is on usability, but your results will be far from simple. Campaign Monitor has a range of different templates with a drag and drop feature to add a range of different (and highly customized) options. You can also use simple email code to create your own template designs. This is a great app for hosting your CSS and assets. As a designer, you’ll be able to make your own templates with custom designs which you can resell to clients. You can use Campayn to import contacts from your mail apps, and Campayn will then store your information in the form of an address book. This includes any social media profiles your clients have. 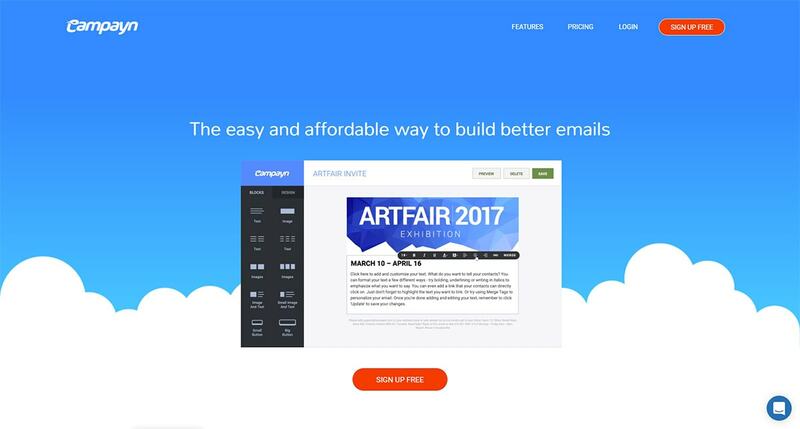 Campayn provides templates for sending aesthetically-pleasing emails. An editor will help you to fine-tune your designs. Your emails will be laid out on a single page which enables you to make changes at any time. When you use Campayn, you’ll be able to divide contacts into different lists according to preferences or interests. This will ensure that each person receives content that most interests them. As a designer, you want to send out emails which are well written, visually-engaging and work according to an appropriate schedule. Emma will assist you by providing great templates for a range of different needs or events. Emma has a professional services team which will create a design, create excellent content and analyze your results to improve engagement. You can use this service to create an effective marketing strategy. You will then be able to reuse the templates in future messages. This is an excellent email application when it comes to assisting you with custom designs. You’ll be able to monitor subscriber profiles to find out which clients interact with the contents of emails. Use the drag and drop editor to create designs that work for your company or brand. 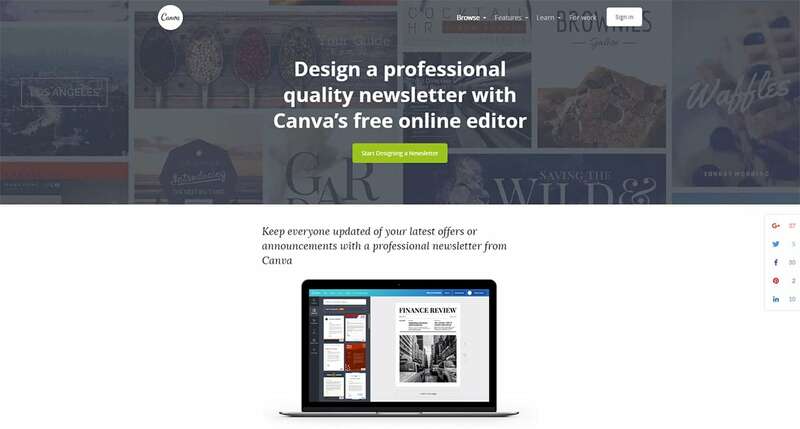 Canva is a free online service which helps you build custom designed newsletters. There is a great library of professional looking templates. You’ll also be able to choose from a range of different stock images to create the emotional resonance you need. Canva enables you to edit images or use filters for dramatic effect. You’ll also be able to use Canva to edit content. Once your mail is complete, save and share. If you’re looking to create emails using a very simple app, Foundation is a great choice. This will enable you to create consistent results with less time spent coding. The time you save will enable you to produce highly aesthetic designs. When you’re creating and developing emails, you will be working with both HTML and CSS. HTML enables you to design the layout and then structure the content of your mail. CSS is used to link colors or headline fonts to your content, creating a stylish appeal. When you inline your emails, you apply CSS styles directly in HTML. To do this you use your code in a single line on your style sheet. You then apply this style to your HTML. Inlining styles are important when working with mail platforms such as Google. The following tools will enable you to use inlining styles when creating a custom designed email. 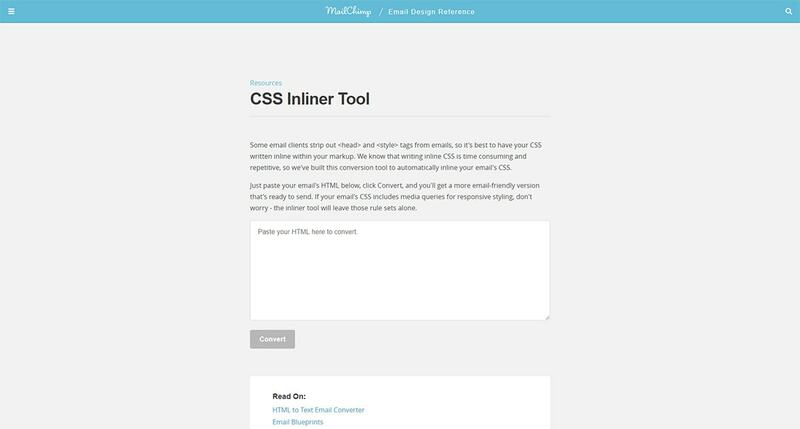 CSS Inliner is a great tool to assist you to automatically inline your email’s CSS. To do this, paste the HTML into your email and then click Convert. You’ll end up with an email-friendly result. 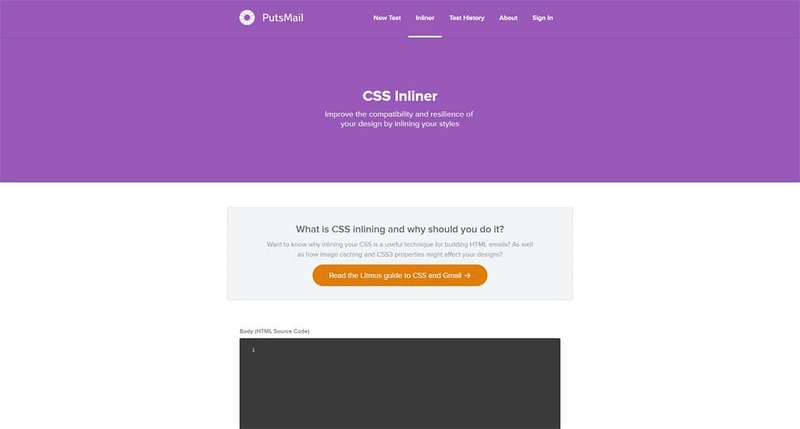 Premailer is a great tool which takes your CSS and HTML code and creates an inlined template. This creates a clean code and an email template which is ready for use. Premailer is a popular choice which has assisted a great many people. A simple and effective tool which simply requires you to paste the HTML from your email and press convert. Once you have done so, you’ll have a template which is ready to send. 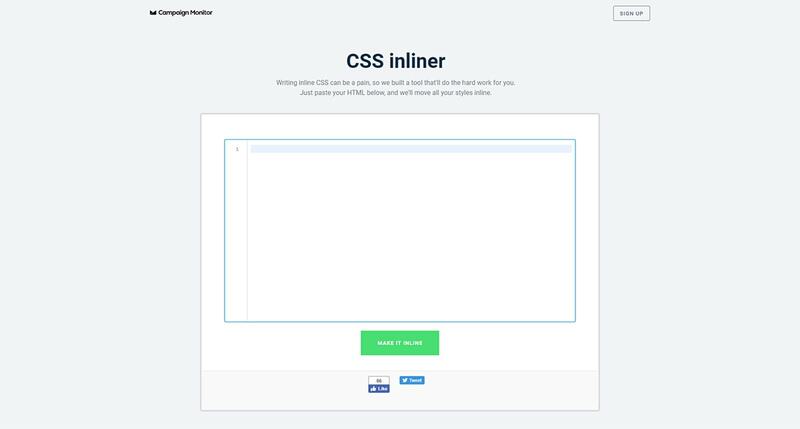 This is a simple tool which takes the pain out of writing inline CSS. Paste in your HTML, and this tool will do the rest of the work for you. Once you’re ready to send out your email, you might want to test it. This will help you find out how your email performs across a variety of devices. You’ll also be able to test how your mail scores in different email accounts – simply by setting some up for yourself and assessing the results. 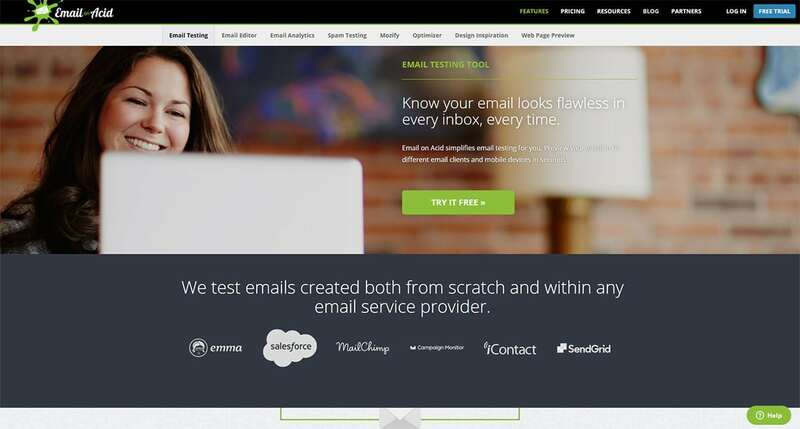 This excellent tool scans your email using over 25 different tests. It enables you to identify factors which might keep mail from landing in a client’s inbox. It will also offer assistance in fixing these areas. When you use this tool, you’ll know that mail is likely to reach the client’s inbox. 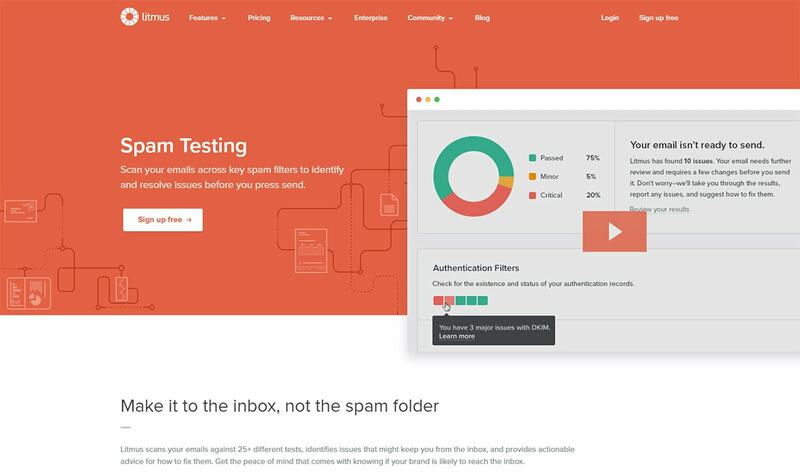 This tool makes testing email for spam easy. You can preview how your email will appear on a range of devices. You will also be able to scroll through or read email in the same way clients would. This way you’re able to find out what they are receiving. Any issues in the HTML which would affect the layout or design will be highlighted and identified. This will help you to send out the most effective email possible. Test the quality of newsletters using this efficient and easy to use application. Assess the quality of email and how it appears in a spam rating. As an additional bonus, you can acquire this tool at no cost. This is an easy and effective tool which assesses email from one place. There is no need to set up a range of different email accounts in order to assess email sends because it allows you to view emails at different screen sizes and in popular applications. This is a great tool which doesn’t require you to use programming to see results. Instead, you’re presented with a simple alternative which will do the work for you. This tool provides the opportunity to assess your email campaign and monitor its effects. You’ll be able to assess and repair any design flaws immediately. This tool assesses your mail for spam. However, it can be complex to use. In order to use the tool effectively, you’ll need the HTML code. You’ll also need to include headers. Your test will be thorough, and provides a score that can help you evaluate whether or not your email registers as spam. There are many different tools available to help you create and assess email newsletters. Your choice will depend on your level of knowledge and how far you would like to go with learning code. We hope the options which have been presented will assist you with finding a product that fits your needs. This way you’ll be able to send out newsletters which are both striking and spam-free. This will improve the conversion rates and interaction with clients. Bogdan is a designer and editor at DesignYourWay. He's reading design books the same way a hamster eats carrots and talks all the time about trends, best practices, and design principles. Online Appointment booking systems: How do you choose the perfect one for your business?